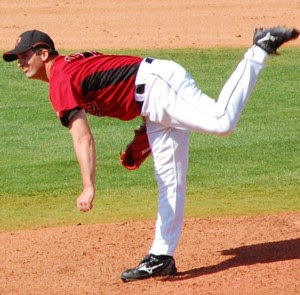 Other than the fact that he is right-handed, owns two consecutive Cy Young awards, is 10 years younger and throws about 10 mph faster, the Giants ace Tim Lincecum and Astros situational lefty reliever Tim Byrdak are identical twin brothers by different mothers -- at least where body type is concerned. Yes the two Tims are each 5 feet 11, and there's not 20 pounds difference between them, with Lincecum weighing in at about 170, Byrdak at 190. Both are exquisitely smallish men in a game where the average major league pitcher's stature now approaches 6 feet 4, and the tallest exceeds 7 feet. But does it necessarily follow that either one or both are more prone to breakdowns simply because they compete against men generally more than a half a foot taller and 30-50 pounds heavier? No, not necessarily, Byrdak told mlbnewsonline.com. It's merely a matter of mechanics and form, not necessarily size, explained the 36-year-old veteran, who has survived more than eight years of sometimes gruelling major league service. "The reason they keep saying Lincecum is going to break down is because of the way he throws the ball, winds, releases and finishes," Byrdak said. "That's what that is all about." So if Lincecum, 26, had more fluid mechanics like the soft-tossing Byrdak, would he be more likely to survive as long as Byrdak? 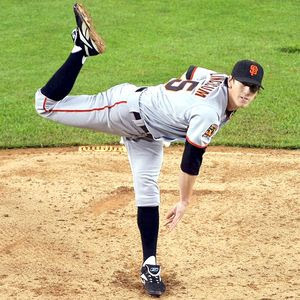 Conversely, if Byrdak had adopted Lincecum's relatively violent, hard-throwing style; would they be picking up Byrdak's body parts all over the field by now? Byrdak, whose lengthy periods of disabled time have been linked to repeated bouts of elbow tendinitis, removal of bone fragments and ligament replacement, declined to guess: "They already picked up my body parts all over the field," he said.